July 2017 - Previous Photograph Competitions - Military Airshows. Red Devils Display Team at Old Warden October 2015. Nikon D750 70-300 Nikkor Lens. Photo taken at the Zaragoza Airshow, Spain, last year with my Canon EOS 700D, and 70-300 IS USM lens. Peter Busby Taken at Farnborough 2008 using a Sony a100 with 300mm Minolta lens. Steve Catlett Red Devil with a little Patriotic Flag. Taken from the recent show at Duxford. 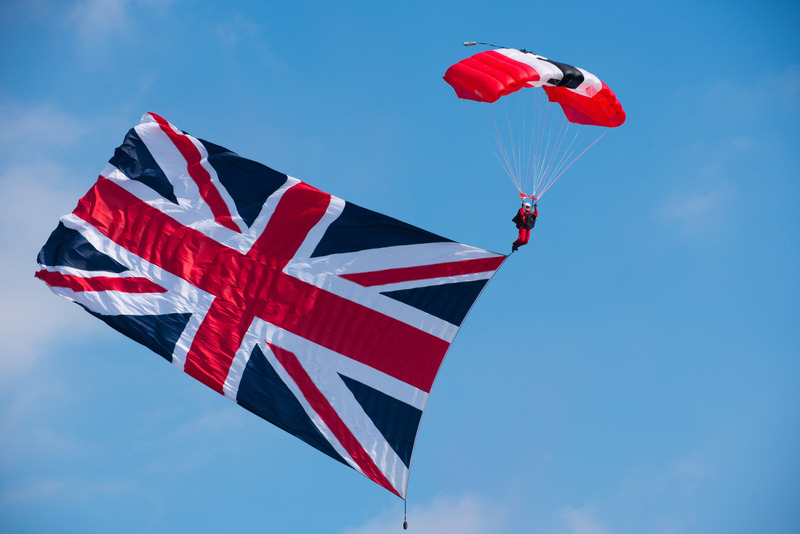 RAF Falcons at Shoreham 2014. Taken with Panasonic GX7 with kit 45-150 Lumix lens.